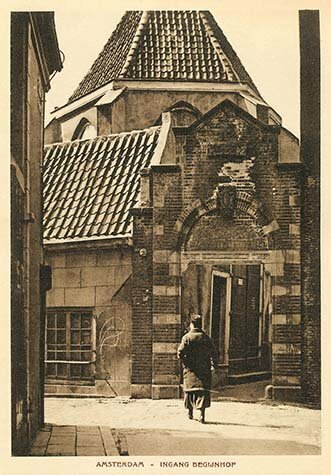 Entrance to the beguinage. A béguinage (French) or begijnhof (Dutch) is a collection of small buildings used by Beguines. These were various lay sisterhoods of the Roman Catholic Church, founded in the 13th century in the Low Countries, comprising religious women who sought to serve God without retiring from the world.